Thanks to Hulu, I’ve been watching a lot of Chef Ramsay‘s shows recently. 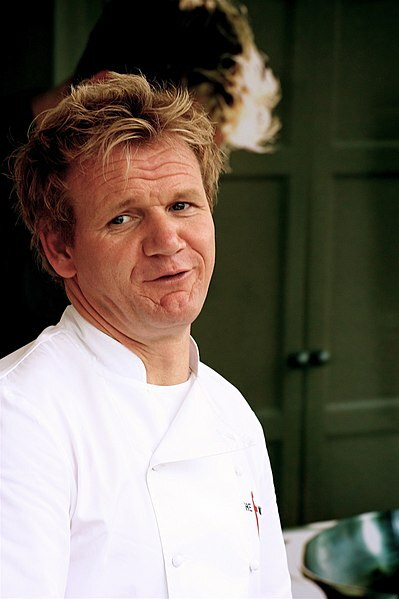 Vocabulary: I am now using many of Chef Ramsay’s sayings when describing food. While these aren’t necessarily new words, I now love using the word “fresh” to describe good food and I wear a disturbing cringe on my face when i refer to “frozen” food. I have also been fighting the urge to yell “Get out of my kitchen!!”. Awareness: I have been introduced to a variety of mouth-watering-inducing meals that I have never tasted, but have become completely obsessed with. Beef Wellington, you are in my target! Now, I am not trying to say that simply watching hours of cooking-related shows has made me an expert, or even an average cook. But my new “association” has absolutely affected my life. To grow business in today’s economy, many service providers that traditionally offered print, mail, or fulfillment are now seeking to offer additional marketing services to their clients. To do this, they certainly may need to make investments in software and hardware. However, it goes beyond that. Discussing and selling a multi-channel marketing campaign means that we will be talking a new language… it means that we must be aware of things that are happening in the “marketing” world, as opposed to just circles that discuss print. It also means that we need to walk-the-walk. We must read magazines that specifically discuss marketing topics and website design. We must subscribe to newsletters share insight on the world of mobile marketing and best practices for email campaigns. We should read posts from bloggers that are engrossed in all-things-marketing, and that freely share tips, tricks, and best practices. We should look at attending trade shows and joining associations that are focused on the marketing. Yes, the people and things that we associate with do have an effect on us. This applies to all fields, activities, age groups, etc. A change in association may not make us an instant-expert, but it absolutely can put us on the path to becoming a legend one day.